Bryan D. Eisenbise is the Director of the Financial Planning Department at Tax & Financial Group. He is responsible for supervising the providing of comprehensive financial consulting and estate planning services as it relates to business succession planning and retirement for high net worth individuals, families, and business owners. 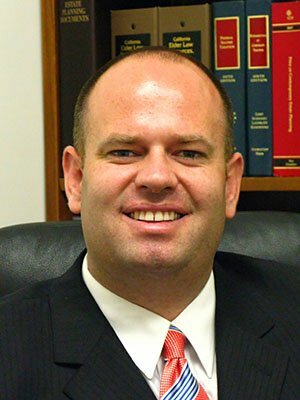 Bryan has represented and counseled hundreds of individuals, families, and business owners in all areas of estate planning, including gift and estate tax planning, living trusts, advanced trusts, complex estate planning, asset protection, business succession planning, probate, and trust disputes and litigation. Bryan has published articles on Tax and Estate Planning in Orange County Lawyer and for the Center for Biodefense Law, and Public Policy. Bryan received his BA in Business Management from California State University, Fullerton. He received his JD and MBA from Texas Tech University, and an LLM (Master of Laws) in Tax and Estate Planning from Chapman University School of Law. While in law school, Bryan served as the founding president of the Texas Tech Business Law Association, and as an associate editor of the probate section of The Texas Bench Booka legal reference guide for elected judges. During law school, Bryan also worked with an organization of students creating basic estate plans for those facing economic hardship. Bryan is admitted to the United States District Court, Central District of California, and all state courts in California. Bryan is a member of the Trusts, Estates, and Probate Sections of The American Bar Association, The State Bar of California, and The Orange County Bar Association. He is also a member of the Orange County Chapter of the J. Reuben Clark Law Society. Bryan is an active volunteer in his community and has participated in ongoing volunteer efforts and pro bono legal work through The Surfrider Foundation, The Nature Conservancy, local bar associations, and his church.